When you think of quality assurance (QA) analysts, you probably aren’t imagining rock star roles at the head of technology companies. But in reality, the QA position is a much more challenging and fulfilling role than one might assume. From assembly line testers to software quality assurance analysts, this field is the last line of defense before a product hits the market. QA people often help those at the helm keep engineers and product managers in check. Those in the role have a considerable effect on the bottom line. So, far from being ancillary to a company’s process, QA is the area of the technological Venn diagram where the vital areas of software engineering, product management, and customer support overlap. The QA field tends to promote more quickly than others, and the ceiling is high. Employees who start as entry-level testers can, based on their performance, move up into product lead, software engineering, or managerial roles. QA is a “gateway drug” of sorts that gives even new testers a chance to dip their toes into multiple aspects of the tech, from engineering to design to product management. Convinced that a career in QA might be for you? Here are six essential tips to unlock a job in quality assurance. A career in QA often means long hours spent toiling under the radar. 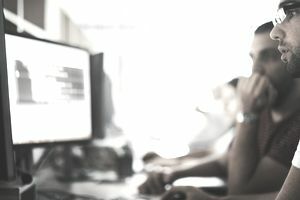 QA analysts comb through thousands of lines of code or explore every aspect of the user experience, a process that is repeated each time the product is updated. As a result, many companies prioritize analysts who demonstrate a love of the product, if not necessarily the process. Unlike many other technology jobs, with QA you have the opportunity to demonstrate your skills to the company by “breaking” it on your own time. To blow your interview out of the water, come prepared with detailed knowledge of the company’s product, scour it for any holes or errors, make a note of them, and present the hiring manager with your findings. This type of above-and-beyond fastidiousness will go a long way toward showing the company that you are fearless about helping them produce the best product possible. Almost every technology job description includes requirements about having strong attention to detail. But in quality assurance, a meticulous nature is more vital than in most careers. After all, the software engineers and product managers can be slightly sloppy during the creation of a company’s product, especially when a product has a strict deadline. Thus it is the role of a QA analyst to take a fastidious approach to every single aspect of a product and the role of a QA candidate to take the same care with his or her CV, cover letter, portfolio, and work samples. Be certain your application matches the position advertised. Check and double-check for spelling or comprehension errors. Diligence will always buy you points, and in the case of QA, the extra effort will become that much more magnified. This may seem obvious, but many QA candidates lack a keen understanding of why QA is important and how it can affect a company’s success. Much like a passion for the company’s product, QA managers like to see a similar passion for the field itself. Can you expand on why QA is a vital part of a product’s development, citing QA’s effect, not just on the bottom line but other key metrics? QA has a direct line to positive customer reviews, user retention rates, and user efficiency. In today’s increasingly saturated technological world, creating the greatest value for the user is paramount. While the software engineers build it, the designers beautify it and the product managers guide it, quality assurance personnel are there at every step to make sure the product is as efficient and optimized as possible. The best QA candidates know this. While QA can sometimes be monotonous, the ever-quickening pace of today’s technology means that analysts must often adapt and prioritize in real time. If a flawed product is set to be released in five hours, quality assurance must ensure that every bug is unearthed, communicated to the proper team and, once fixed, rechecked to ensure it is correct. That means pressure, a fast pace and an often aggressive approach. Luckily, an interview or trial period with a company should allow plenty of time to demonstrate these abilities. While a degree in computer science or a related field is a plus for a technical QA opening, it’s not required. As opposed to other technical positions like engineering or product design, quality assurance does not always require a computer science degree or certificate. All one needs is experience in quality assurance, even in an entry-level position like a tester, combined with a basic understanding of a company’s design and functionality. And once you’re in the field, Spotify’s Nitzan Blouin says there’s plenty of room for growth! For those seeking QA jobs, Switch is a smart job matchmaking app featuring lots of tech jobs. It is available for download in the iOS store.. Yarden Tadmor is the company’s CEO and founder, and the author of this post.